Seafood ecolabels have become mainstream. In the last twenty years, many logos, especially that of the Marine Stewardship Council (MSC), have become prominent on markets. However, we know with hindsight that these labels are not always as virtuous as their marketing suggests. As seen in other certified sectors (farming, timber etc. ), destructive practices have been renamed “sustainable” to meet market demand. Instead of setting an ambitious and truly “sustainable” goal to fisheries to rethink their business model and slowly but surely change their fishing practices, labelling has often provided an excuse to avoid questioning large-scale, high impact fishing which turn in the seafood volumes needed by giant retailers. Retailers are now using labels, such as the MSC, as a magic “sustainable” shield that stops them from doing their “homework” and ensuring seafood is caught in the least impactful way there can be, with the highest possible social output. BLOOM has identified that labels, especially the MSC, have become a convenient and comfortable tool allowing retailers and brands to shake off guilt and corporate responsibility. When labels become a barrier to sustainable and ethical fishing practices, we believe their standards and application should be seriously questioned. BLOOM therefore actively assesses seafood label performance and formulates critiques that seek to radically improve or sometimes change certification schemes when our expertise points to dysfunctional parameters. Our researchers regularly contribute to public consultations, co-author scientific publications, produce opinion pieces and sometimes campaign to achieve the change we think is necessary. We more rarely object to dubious certifications because we have found the procedures were inherently biased and were therefore a waste of time and money. On this page, we provide a brief account of our ongoing battle for a true ambition for the ocean’s future. In June 2016, Frédéric Le Manach joined the MSC Stakeholder Council, which was shut down in June 2017 and replaced by a smaller group (the Stakeholder Advisory Board), whose members were selected by… the MSC’s board. We have also participated to several consultations. In our contribution to an European Commission‘s public consultation on the “international ocean governance”, we highlight that a good example of the lack of monitoring, subsequent waste of human resources, and slow decision-making is the recent consultation on an EU Ecolabel for fisheries and aquaculture products (see below): very broad in scope, this consultation started once again from scratch in 2015 without taking into account the debates on eco-labelling schemes for fisheries products that had taken place since 2005. October 2015. BLOOM contributed to a public consultation launched by the French Ministry of Ecology (Ministère de l’Ecologie, du Développement durable et de l’Energie) on the “10 action points about Blue Growth”, which followed the national conference on the ecological transition for the ocean and seas. We highlighted that there needs to be a much stronger and binding framework to govern labels, in order to avoid empty shells. September 2015. For many years, the European Commission has been discussing the establishment of a public ecolabel or minimum criteria for existing ecolabels, with poor results so far. BLOOM contributed to its public consultation: “A European ecolabel for aquaculture and fisheries products” and recommended to opt for minimum criteria. July 2015. BLOOM formally objected to the certification of several problematic fisheries but also criticized certain fisheries under assessment or re-assessement. 2016: the New Zealand orange roughy fishery (certified fishery). Client: Deepwater group. Find our contribution here (February 2016). BLOOM joined efforts with Greenpeace, the Deep Sea Conservation Coalition and ECO-NZ to object this certification. Our objection was rejected. 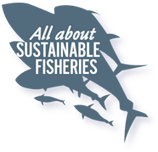 Read our reaction and press release “The MSC label torpedoes its credibility over orange roughy fishery“. 2016: the Atlantic longline swordfish and shark fishery. Clients: ORPAGU and CEPESCA. Our contributions here and here (December 2015 and November 2016). As a result of our critiques, this fishery was withdrawn from assessment. 2015: the deep-sea bottom trawl fishery for roundnose grenadier, blue ling and black scabbardfish. Client : Scapêche (Intermarché’s fleet). Find BLOOM’s motion submitted during the ‘fishery announcement and stakeholders identification’ process here (February 2015), as well as our contribution to the MSC’s default assessment tree here (March 2015). As a result of our critiques, Intermarché announced in March 2016 its intention to be phasing out of deep-sea fisheries. Subsequently, this deep-sea fishery was withdrawn from assessment. 2010: the sardine fishery in South Brittany (certified fishery). Client: Association des Bolincheurs de Bretagne. Find our contribution here in French (May 2010). Our objection to this fishery was unsuccessful. In 2013, we reviewed all objection procedures that had been filed against MSC certifications. Read our article: “A review of formal objections to Marine Stewardship Council fisheries certifications” published in Biological Conservation with coauthors. In September 2017, BLOOM and other organizations, scientists, chefs etc. have launched On The Hook, a campaign that aims to prevent yet another downward slide by the Marine Stewardship Council (MSC). In particular, On The Hook denounces the MSC’s plan to renew the certification of the world’s largest tuna fishery in the Western Pacific: the PNA fishery. The point of contention was simple: this fishery targets two species of tuna (skipjack and yellowfin tuna) using a single gear: a purse seine. During the same trip, this purse seine can be used opportunistically on ‘free schools’ of tuna — the activity that is MSC-certified ­— or on schools formed around ‘fishing aggregating devices’ (FADs). This practice using FADs catches many sharks, turtles, juvenile tuna and other protected or sensitive species, making it unsustainable.